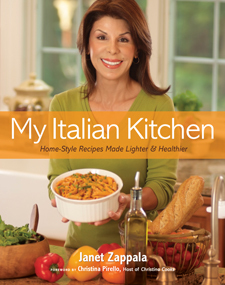 Janet Zappala’s love for food began at a very early age as she watched her mother create her own brand of memorable meals that were always made with care. It’s those memories that continue to fuel her love for cooking. Now, Janet is pleased to share these recipes with you. She has re-created many of them so that they’re more healthful, but without compromising their great taste.